Battle it out between hero and villain: Batman vs. Joker and Superman vs. Lex Luther. 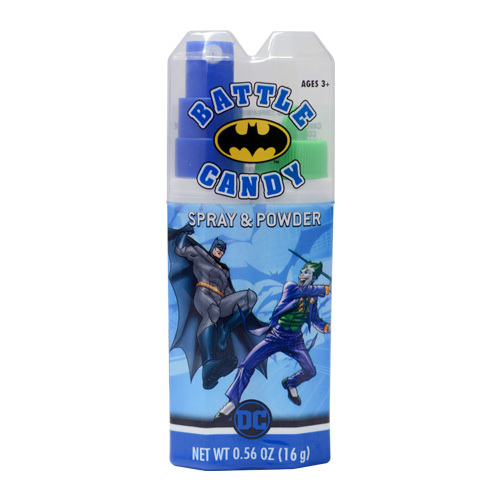 DC Comics™ Battle Candy Spray & Powder comes with both spray and powder. 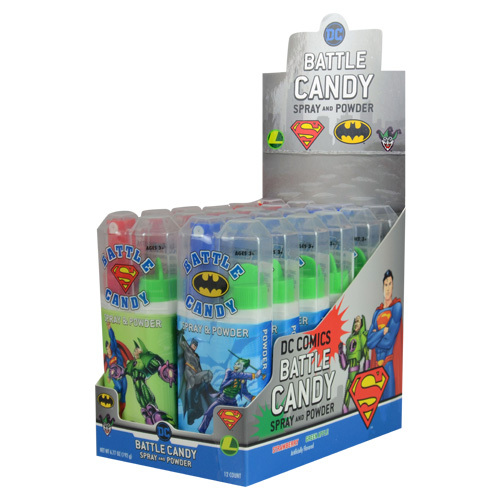 DC Comics™ Battle Candy Spray & Powder comes in three delicious flavors: Strawberry, Green Apple & Blue Raspberry. 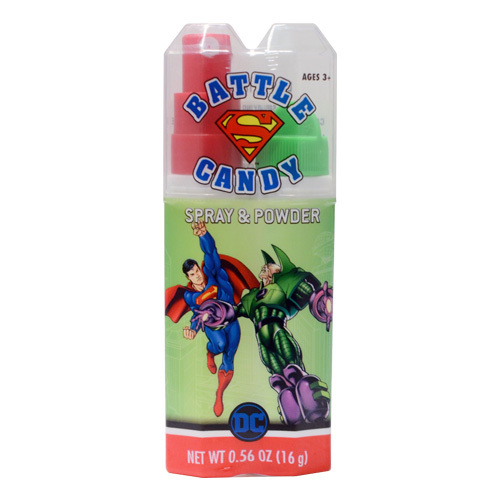 Kids will love this DC Comics candy!